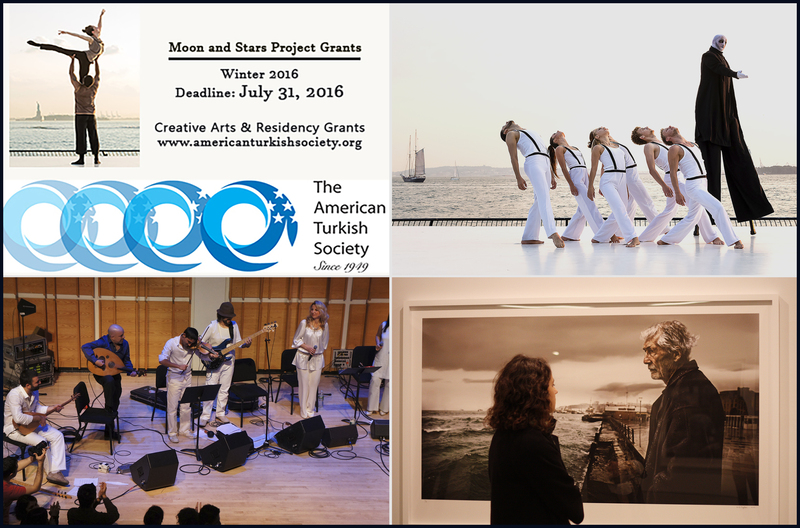 The American Turkish Society's "Moon and Stars Project Grants" are dedicated to highlighting the changing face of Turkish arts and culture and establishing cultural interaction between the United States and Turkey. ATS awards competitive grants to encourage the development of Turkish related art projects, such as dance festivals, books, and art exhibitions. Organizations may also be awarded travel and residency funding for projects and performances in the US. Founded in 1949, The American Turkish Society is the nation's oldest not-for-profit organization seeking to enhance economic, diplomatic, and cultural ties between Turkey and the United States. The Society convenes leaders in government, business, and civil society to discuss and advance U.S.-Turkish relations; fosters understanding and cooperation between the two countries through education, cultural exchange, philanthropy, and networking; informs the American public about Turkey's current affairs, economy, history, and society; and presents and supports programs highlighting Turkish arts and culture.